Our Computing Curriculum is taught from Foundation stage to Year 6 and children learn numerous skills. These skills are built upon year on year, until the end of year Key Stage 2 where children will emerge accomplished in many aspects of computing. Children in all key stages learn computer programming and coding, testing and debugging their apps as they go. Year 6 run by our school’s digital monitors. 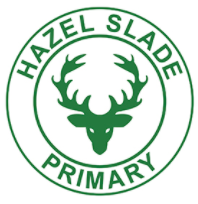 Hazel Slade Primary Academy values the fundamental part that technology plays in the life of the school.